By the turn of the century, the Wirksworth Branch had settled-down into a humdrum existence. The passenger service was quite buoyant provided you weren’t travelling on a Sunday. In 1906, the Midland Railway tried an experiment by running a railmotor service to Wirksworth in conjunction with services to Melbourne and Ripley. A railmotor was the ancestor of today’s ‘multiple unit’ trains: a carriage with a steam engine pretty much built into it. The railmotor didn’t last and a very short time later it was replaced by a locomotive and Pullman carriage! 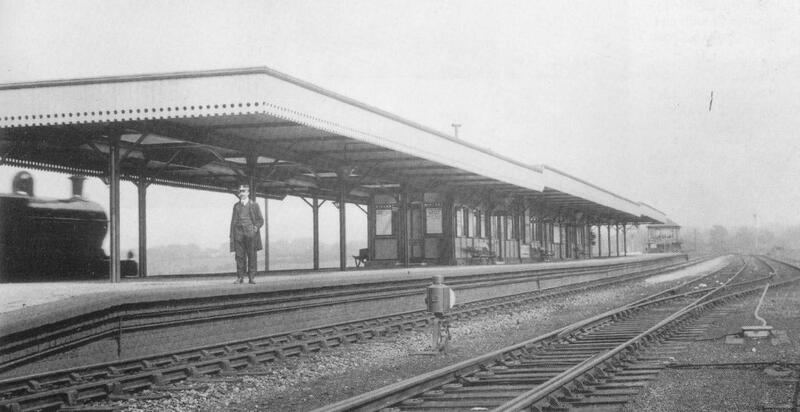 ‘The Wirksworth Pullman’: a photo taken in 1906 showing the incongruous sight of a Pullman carriage working on the Wirksworth service. This is taken from the Excellent Wirksworth Parish Records site: click on the photo to take you there. Goods traffic was another matter: agricultural traffic was growing, especially milk but also other produce leading to the branch becoming known as the Milk and Honey Line. Milk traffic would be collected at Derby and put on the milk train to London. Old Milk Churns tell a story. 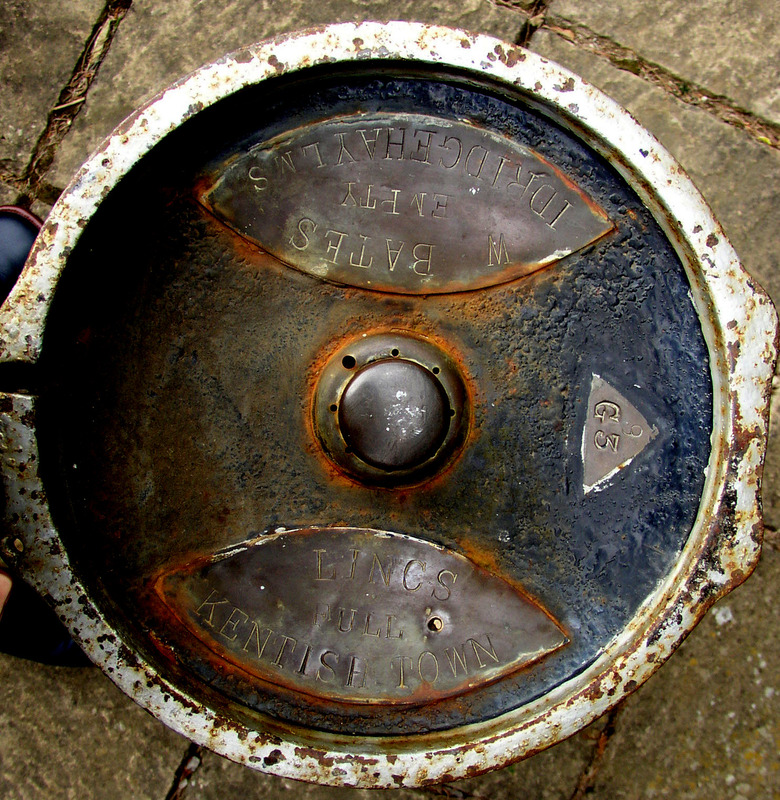 Click on the image to see the writing in the lid: this worked a circuit between Idridgehay and Kentish Town, London. In 1900, Wirksworth supplied 800,000 gallons of milk to the nation’s capital, 10% of Derbyshire’s output. Meanwhile, cattle traffic had peaked at nearly 450 truckloads annually but this had declined to 250 by 1914. It was mineral traffic, especially limestone, that was becoming the staple of the line. Mr. Shaw’s concerns that limestone imported from Leicestershire would affect his business found instead that the new route to the main line was of huge benefit to the town’s quarries. Like all others, the Wirksworth Branch played its part in the Great War and, in line with other railways, 1st January 1917 brought a reduction in passenger services. The line’s passenger services did well to survive, other lines were no so lucky, while many main line stations closed, some never to reopen. The Midland became part of the LMSR and there was no immediate effect on the Wirksworth Branch, indeed from the timetable below it can be seen that the passenger services around grouping looked quite buoyant except for Sundays (again). This represented the peak of passenger services to Wirksworth. During the 1920s and 30s there was a gradual but subtle decline in many passenger services in parts of the country where tram or bus competition was on the rise. It was during this period that the Wirksworth Branch suffered a train crash that, sadly, resulted in a fatality. 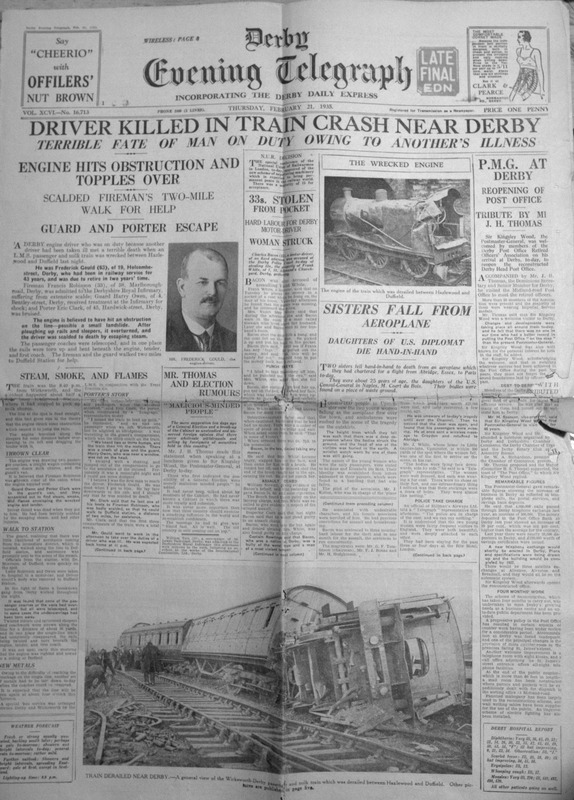 On 20th February 1935, the 8:40pm from Wirksworth Derby derailed near Hazlewood, scalding the fireman but killing the driver, 63-year-old Mr. Frederick Gould. The cause was the poor condition of the track with old and badly-worn rails that were due to be replaced. Other than slight injuries to the guard there were no more injuries because the train had no passengers on board – the writing was on the wall. The Derby Evening Telegraph for 21 February 1935. Click on the image for an extremely large version of the complete front page. 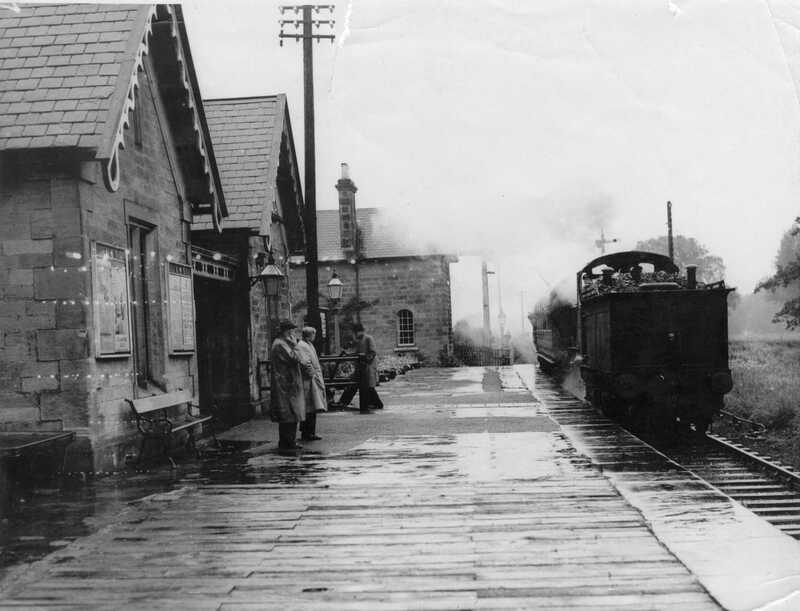 The Second World War saw even harsher cuts to services than the First: by 1942 there were just two round trips to Wirksworth each day with an extra afternoon service on Saturdays and nothing on Sundays. This set a worrying precedent. The whole railway network emerged from the war in a state of dilapidation. Five years of constant use with minimal maintenance had taken its toll and combined with austerity and a national coal shortage, economies had to be made. With a bus service to the town and a paper-thin train service, Wirksworth was ripe for the chop and this came to pass. The end came on Saturday, 14th June 1947. From then the service was officially suspended but there was no revival and the passenger service was officially withdrawn in 1949.